Time passes quickly in football. One day a team are up battling with the giants and the next they are down, struggling to win a title that never seems to come. Spartak Moscow have experienced this reality over the last 20 years. Nicknamed the “People’s Team”, Spartak Moscow have not won the Russian Premier League since 2001. Much has been said and written within Russia about the club’s decline, but one thing is indisputable: since the departure of charismatic manager Oleg Romantsev, Spartak Moscow have failed to win a single trophy. The man who won a record total of eight Russian Premier League titles with Spartak Moscow and who holds several more records with the Russian side is, at the same time, both the team’s best manager ever and the one who apparently has “cursed” the club for good. 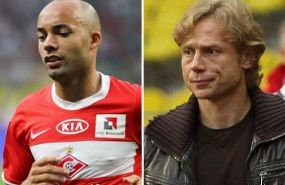 The golden era at Spartak Moscow is long gone, the club’s team of the early 1990s lost in time and the names of players such as Alexander Mostovoi, Dmitri Radchenko, Igor Shalimov, Valery Karpin and Yegor Titov are now no more than a mirage from a glorious past. Spartak Moscow reached the semi-finals of the 1990/91 European Cup, thrashing Real Madrid at the Bernabeu 3-1 along the way. Just a few years later, Romantsev’s men did it again, this time in the 1997/98 UEFA Cup, the coach leading the capital club into the semi-finals, where only a powerful Inter side could put them out of the competition. In 2003, Romantsev left the club and, since then, Spartak Moscow have been falling into an abyss which seems to have no end. Over the last five years, the People’s Club have had eight different managers, the most recent being Spaniard Unai Emery. The best that Spartak Moscow have managed in that time is a second place finish in the Russian Premier League. There is definitely something rotten in the kingdom of Spartak. The club had always taken advantage of the talented players produced by their youth academy: Lately though, that has changed. Money has been poured in by chairman Leonid Fedun, which has disrupted the club’s old traditions. More and more foreign (and expensive and well-paid) players have landed at Spartak Moscow leading to, year on year, a drop in the amount of youth players being brought into the first team. Last summer, with the arrival of Spanish coach Unai Emery, Spartak Moscow’s young talents suffered another setback as the club once again invested in several highly-paid players – and once again things went wrong. The team appear disjointed, the football they play is unattractive and the Spartachi fans have lost patience. After just 17 league matches in charge of the side, Emery was sacked and Valery Karpin, the team’s general manager, took charge once again (he bossed the club between 2009 and 2012). Karpin faces a tough task, with Spartak Moscow eleven points behind league leaders CSKA Moscow and nine off second-placed Anzhi Makhachkala. The season already looks like a washout and now much hinges on finding and appointing the “right” new manager. In times of crisis, often all help can be good help. When Karpin was in charge in 2009, he asked the legendary Romantsev for assistance and appointed him as the club’s consultant. With advice from the “master”, Karpin managed to achieve two second place finishes in the Russian Premier League. But after a promising return to the old habits of promoting youth players, the board opted to appoint Emery for the new season and, with that decision, undid all the good work done by Karpin. Now Spartak Moscow fans are wondering whether the team can return to the glories of the past, or whether Romantsev’s “curse” will endure for another decade.